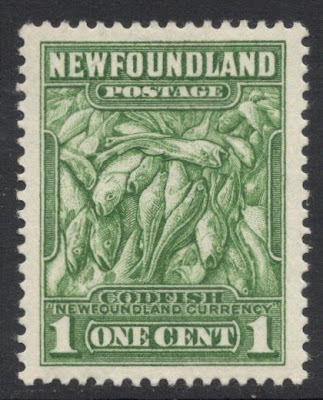 It is a lovely stamp indeed, I must say, and one of the better ones of the large set of 12 values which was issued in Newfoundland in 1932. It includes a varieties of designs, mainly members of the royal family and various animals. 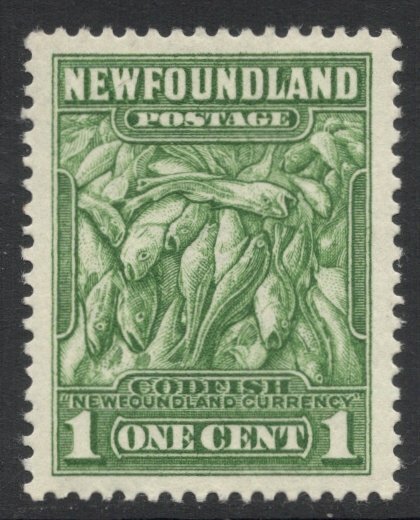 Not all designs are very striking but some really stand out, such as the cod stamp. It's almost avantgarde art, rather peculiar, but it is an interesting design. 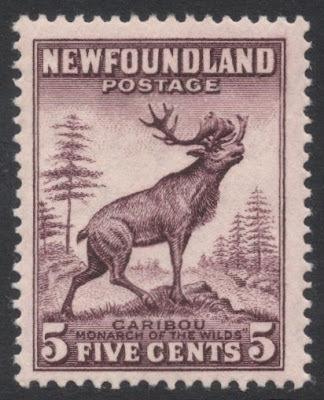 I also like the reindeer stamp which somehow is the one I always think of when thinking of Newfoundland stamps. 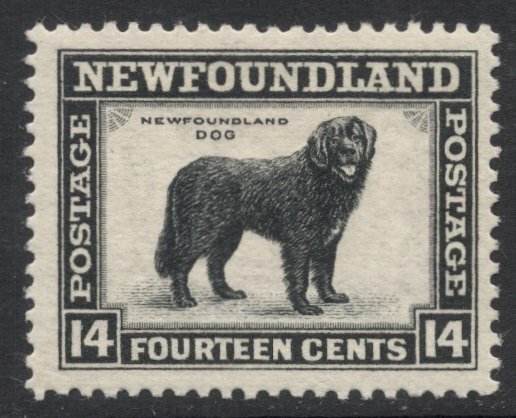 And with that stamp we enter the field of differences in dies, which is always great fun when you're collecting definitive stamps! This one is fairly easy as you only have to compare the size of the antlers on both dies to know them apart. 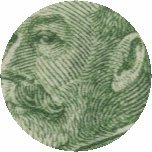 I'm having more trouble with the dies of the stamp portraying King George V. Apparently, the main difference is the scar on his cheek which is visible on Die I and removed on Die II. Now if I get it right, the carmine version is always Die I so there's got to be a scar somewhere there. 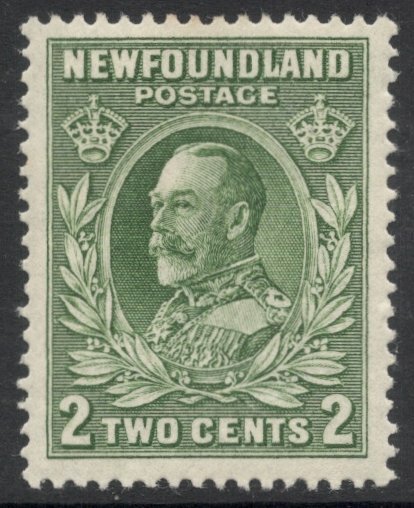 The subsequent green version comes in either Die I or Die II. I must admit I'm slightly flummoxed but I would venture a guess and say that my green version is Die I. And I'm even more flummoxed when I look at all the royal portraits included in the set. First up there's the King and Queen, which makes sense. Then we have the eldest son, heir to the throne (the future King Edward VIII). I'm still with them. Next up is (then) Princess Elizabeth, which is fine as well, she being the King's first grandchild. Later in the year, a final royal was added to the set, this being the (then) Duchess of York, wife of the King's second son. Now, bearing in mind that nobody could yet foresee the royal events of 1936, why was she included? And not her husband first? Was she to symbolise the first inlaw? Time for questions in other places!